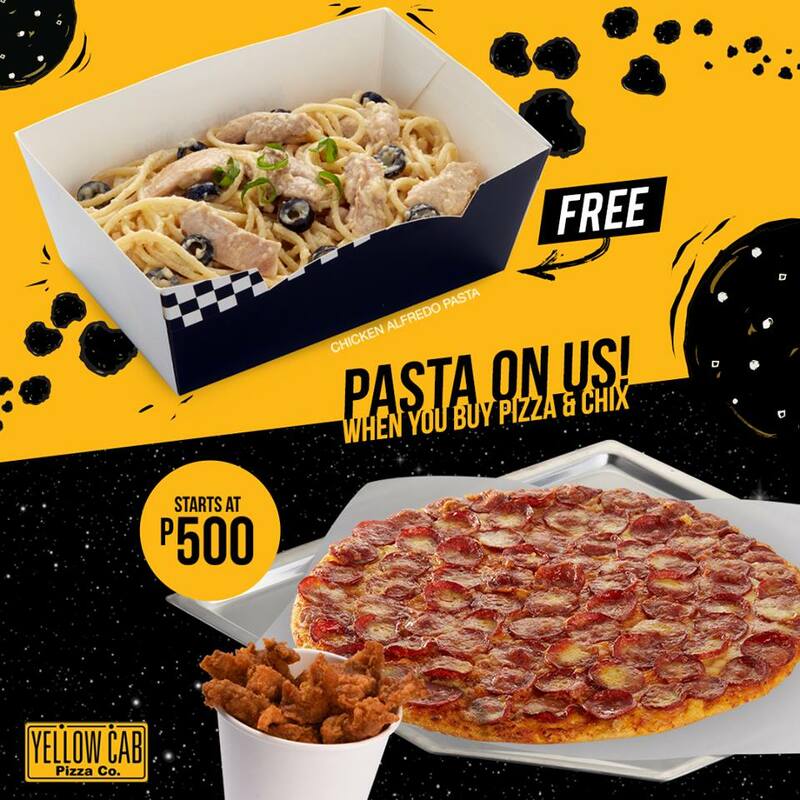 Fuel your hustle with Yellow Cab's FREE Pasta Promo! Get 1 FREE Regular Chicken Alfredo when you buy one (1) 10” Regular Pizza (any flavor) and one (1) Regular Chicken (any flavor). Promo runs from March 16-31, 2018. Available for Dine-In, Take-out, and Delivery in all branches except Kidzania, MOA Arena, Brent, and Camaya. Also available for delivery at 789-9999 or visit delivery.yellowcabpizza.com.